It's been a week I didn't update about myself tru blog or fb. One, due to my busiest busy la sgts hehe workload that need me to outstation to few places as year end closing just around the corner. Fuh seriously i'm nervous right now. I don't know if I can handling it rightly + smoothly. I just take in charge a few subs account, and i guess i did a lot of mistakes. And who cares? haha.. From mistake u can learn kan. Betul tak. Albert Einstein pun made mistakes, at the end he successfully created his own formula that no one cannot argue. So be positive if u make mistakes. Smile and learn. Try not to repeat that mistakes okeh. Tho sometimes I repeat the mistakes and people keep mad at me hehe..I'll try my best k.
"To be an expert, you have to be a troublemaker. Then trying solve the problems that you created. That will help you more that no one else can ever teach you" - Cik Helang . New quote for today hehe. 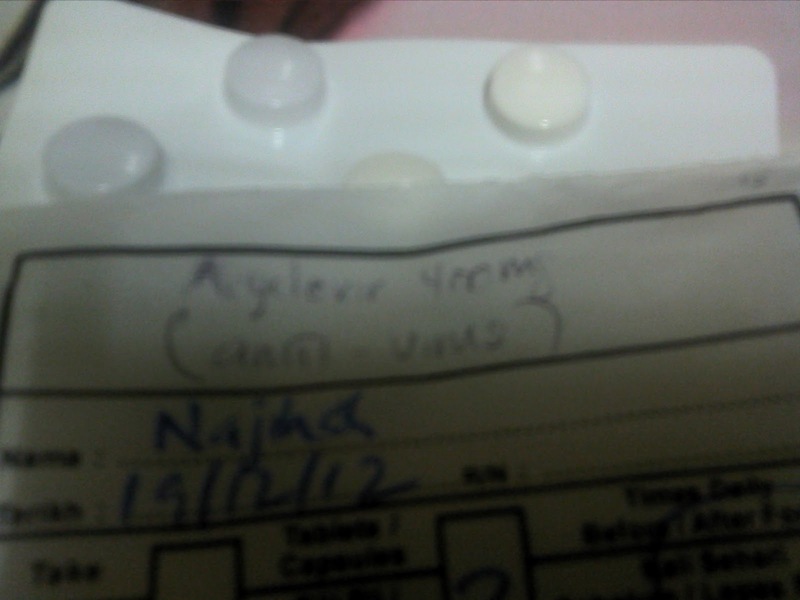 Two and lastly, I've been attack by virus under my lips. Terkena jangkitan kuman after eating buah mata kucing. Can somebody tell me what buah mata kucing in English. I'm googling and i found this. Buah Mata Kucing which is literally translated as Cat's Eye Fruit. Is it true? Betul kah? Macam kelakar haha. I got two days MCs from clinic. Demam + virus attacked!. But i still go to office as I felt soooo boring kat rumah and my work yang bertimbun macam gunung keep waiting for me to be done. So I went to the office as usual with my lips bengkak mcm angelina jolie and it couldn't stop bleeding. I'd to put tissue and it was really hurts. But today Alhamdulillah. Dah oke. Cuma kesan masih ada and it's itchy. Sob ba ro. Semua ada hikmah. On wed, i've to go to Keningau back. Stock take at Bunang. Pray all the works going smoothly k.
Banyak lagi cerita. Tapi tak tercerita. hehe. Bye.